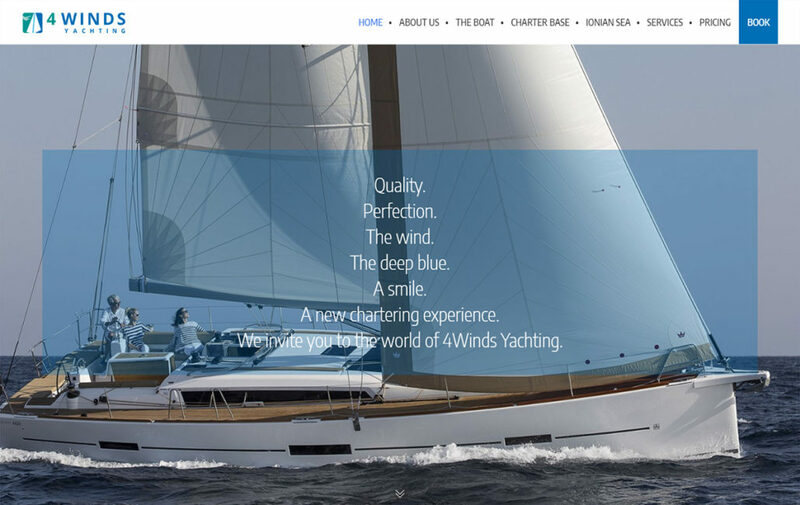 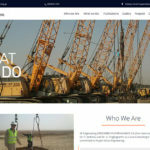 4Winds Yachting has commissioned 80bytes to build its website. 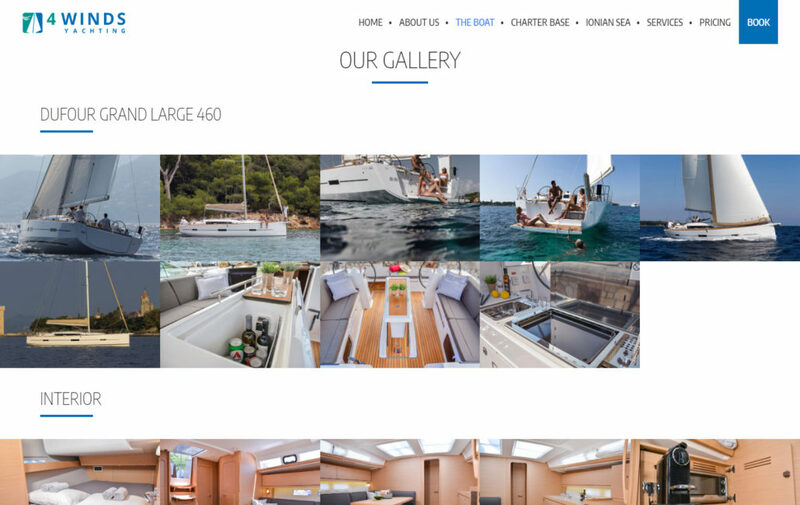 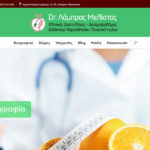 It was build having the structure of a one-page microsite, in which the boat and its detailed characteristics are presented. 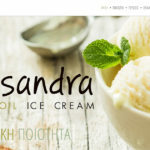 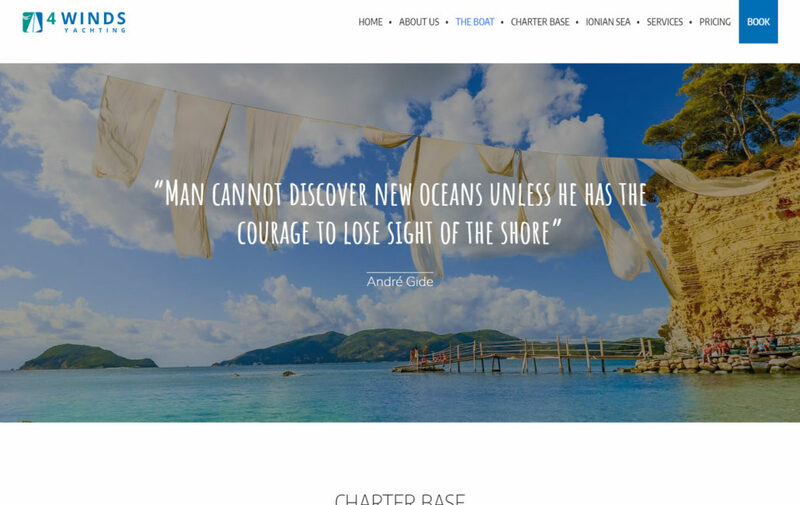 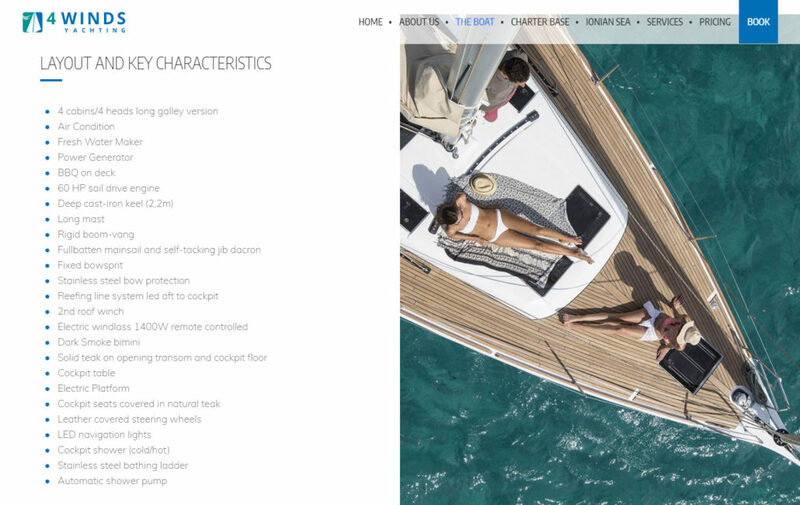 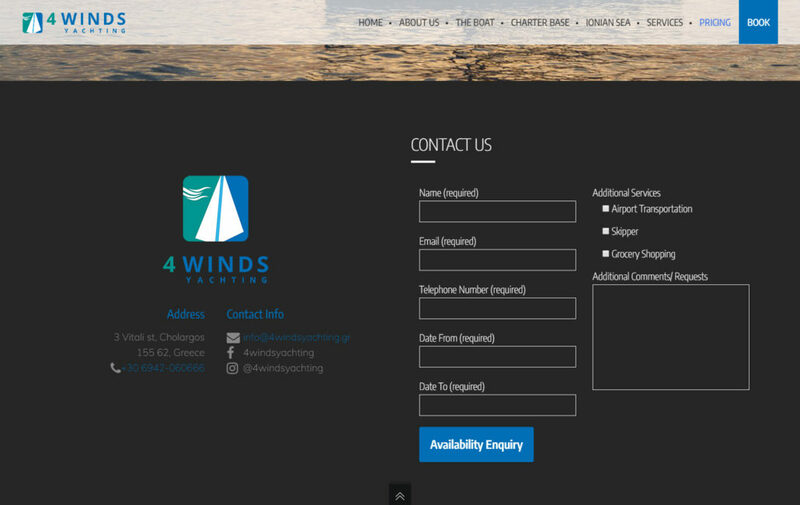 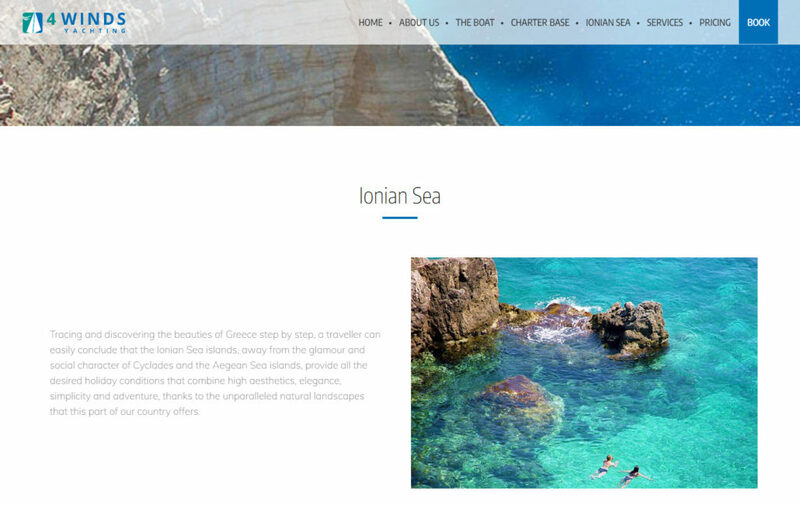 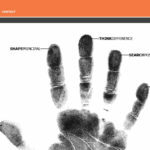 Through this website, 4Winds Yachting, aims to promote the facilities and the services offered to the customer, as well as provide information on the Marina of Lefkada (being the charter base) and the Ionian Islands as sailing destinations.